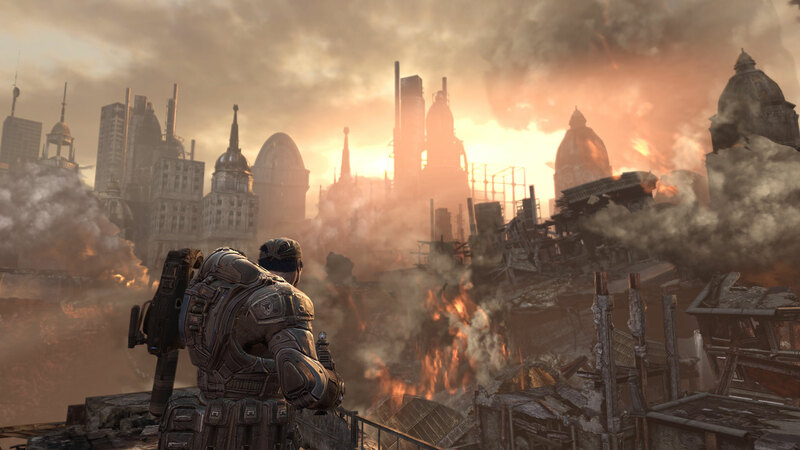 If video games are the modern-day incarnation of sci-fi and action films, Gears of War 2 is a true blockbuster. Two Christmases ago, Gears of War became the de facto Xbox 360 system seller when Halo 3 didn’t pan out for a holiday launch. This year, pre-orders for the sequel surpassed those for the original, making Gears of War 2 the one of the biggest video game releases of the season. Unlike a movie, which delivers a two-hour adrenaline rush, a white-knuckle action game is obligated to stay thrilling through 10 or 15 hours of play. 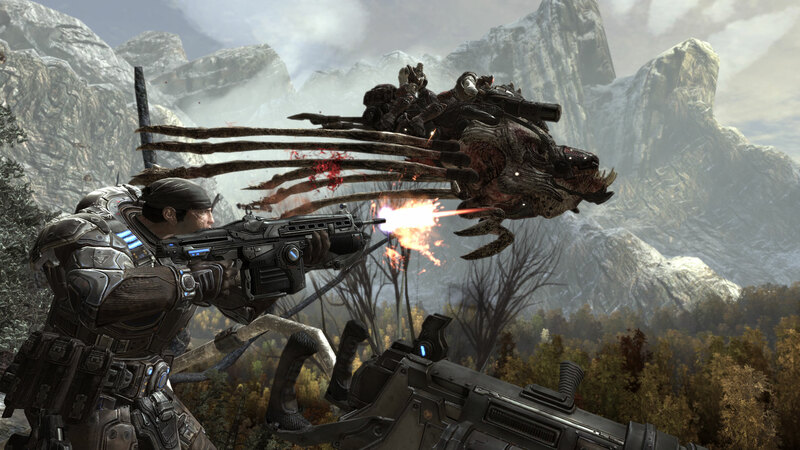 With a sequel comes the added challenge of avoiding rehashes and finding new sources of “wow.” Gears of War 2, predictably, has its saggy spots, but it genuinely tries to keep you entertained throughout. You play Marcus Fenix, a futuristic soldier defined by his unrealistically grizzled voice and unwavering support for his army’s mission. The plot picks up several months after the first game’s conclusion, when the humans of Sera appeared to blow up the underground home of the oppressive Locust race. Naturally, this only riled the enemy, and Gears of War 2 finds the humans on the ropes but staging a desperate offensive. Gears of War 2, like the last game, has a way of marginalizing its plot. The characters embark on hours-long missions based on what seems like the slightest whim or scrap of intel. By the game’s conclusion, you might still wonder what exactly you’re doing besides shooting things, but this is likely the byproduct of a story that doesn’t linger long before yielding to the action. Like the best Stallone or Schwarzenegger flick, the plot is secondary to the spectacle of guns and gore. 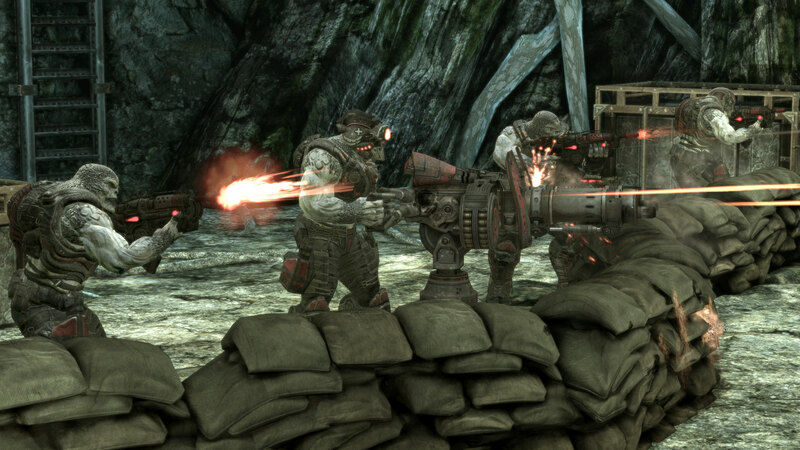 The hallmark of Gears of War is its use of cover. With one button press, Fenix clings to any nearby flat surface, allowing him to hide from walls of enemy gunfire. One trigger button on the Xbox 360 controller makes him pop out of cover to take aim, and the other trigger, obviously, shoots. The result is a game of territories, in which you’re always scrambling for the best vantage point against your enemies. Fenix’s arsenal hasn’t changed much since the last game, combining standard weapons—rifle, pistol, shotgun, sniper rifle and rocket launcher—with more exotic selections, such as an exploding crossbow and a satellite-guided laser beam. In close quarters, you can slap a grenade on your opponent’s back or slice him in half with a bayonet-mounted chainsaw. The one new feature of combat allows players grab downed foes by the neck and use them as “meat shields.” Parents, take note of the “M for Mature” rating. As a foundation, Gears’ duck-and-cover action is solid. But even the best game mechanics grate after 12 hours of play. Fortunately, the game is littered with special sequences that defy the series’ famed shootouts. You’ll ride on various vehicles and living creatures, explore the innards of a subway-sized monster, uncover a secret laboratory guarded by long-forgotten security drones and do battle with a beast that strangely resembles the Predator. Indeed, there are times where you’ll even miss blasting Locust grunts. As for those typical shootouts, they do drag in some spots. The first few chapters in particular seem uninspired, causing the game to actually pick up speed toward the middle acts. The same is true with some later chapters, in which you’ll shoot your way through an unusually lengthy Locust stronghold. It makes you wonder whether a shorter campaign would better serve Gears of War 2’s many other diversions. Online multiplayer isn’t much different this time around, but it’s just as addictive, with teams of five tangling in deathmatch or new objective games. A “horde” mode offers instant action, pitting you against waves of Locust. And you can always bring a friend, online or at home, into the campaign mode, picking up from where you left off on your own. We’ve previously lamented the death of split-screen multiplayer, but Gears of War 2 remains a shining example of how it can still be done. Your best kills and the sweetest action sequences are even better when shared with someone else. I approached this game with skepticism. Sequels have scorned me before, promising the world but delivering more of the same. In a sense, Gears of War 2 can’t avoid that trap. Despite all the fun I had, the game didn’t floor me like the original. True, it has shinier graphics and epic environments, but neither awakened me to the next console generation in the way the first game did. But, admittedly, that’s a pitfall in any sequel. At least this one’s a winner. Best. Game About a President-Elect. Ever. Three words: Super Obama World. And some screens after the jump–yes, those are pigs in lipstick. It’s been a rough couple of weeks for the video game industry, once touted as recession-proof. The carnage began last Thursday, when Electronic Arts announced a 14 percent drop in stock, followed by a cut of 500 to 600 jobs–6 percent of the workforce. THQ followed suit by sending pink slips to a third of the staff from one studio and shutting down at least four others entirely. I have a soul, so let me first say that it’s terrible when people lose their jobs, especially at a time like this. But on the bright side, the overall quality of video games themselves aren’t likely to suffer as a result.